This is a limited edition five-shade eyeshadow palette housed in a sleek lacquered black compact. The palette features a neutral brown and green color scheme and each shade weighs 1.8g. 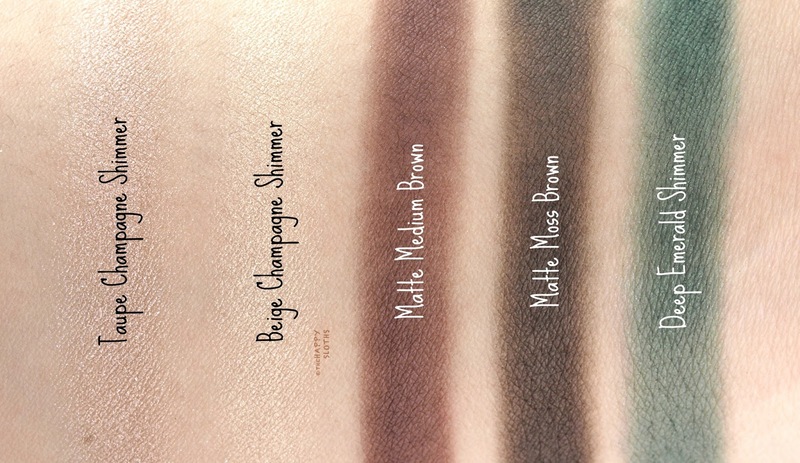 You get a taupe champagne shimmer, a beige champagne shimmer, a matte rich brown, a matte moss brown, and a deep emerald green sprinkled with a soft hint of shimmers. Both the taupe and beige champagne shimmers are very smooth and nicely-pigmented while the matte browns are slightly patchy but buildable. 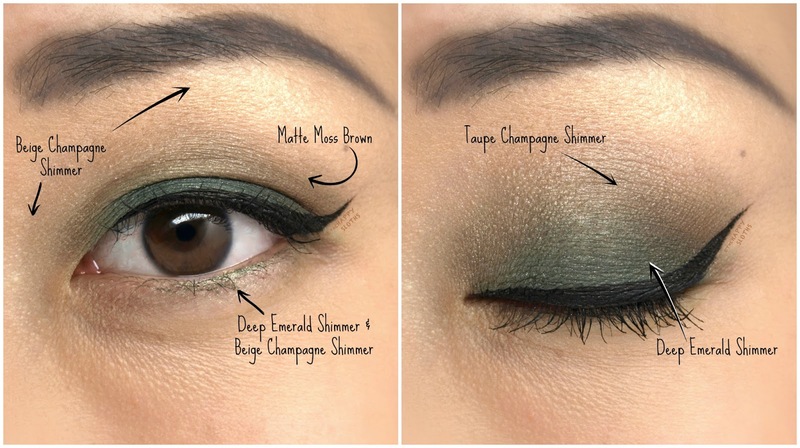 The emerald shimmer, however, has a very thin and sheer formulation. It is very uneven and fallout-prone when I swatched it with my finger but when worn on the lids and blended with the taupe champagne, the color looked much better. 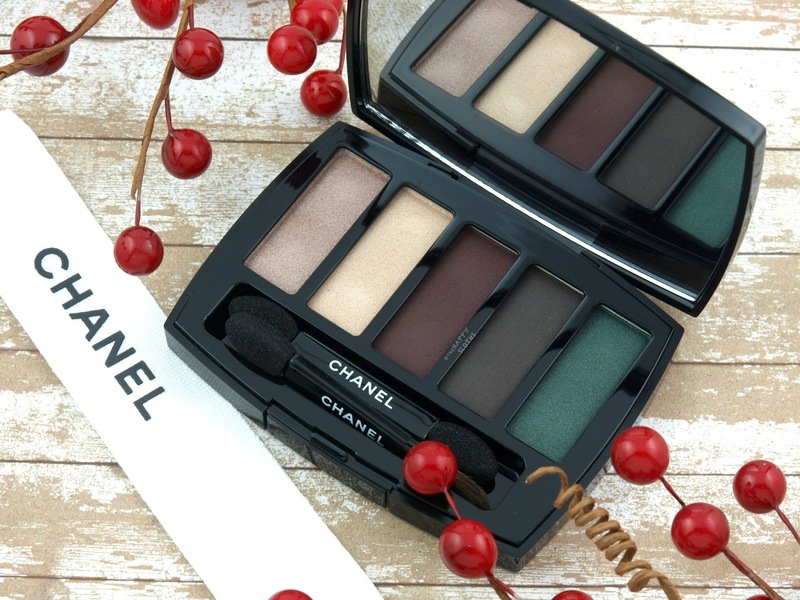 Overall, I don't think this is Chanel's best holiday palette. Last year's Architectonic Eyeshadow Palette was so much better both in terms of texture and pigmentation. Below is a look I created using the Trait de Caractère palette. Although the green does not look half as stunning as it does in the pan, I am still pretty happy with the finished result. Paired with the Rouge Allure Lipstick in "N°4" (see below), it actually makes for a very unique and festive holiday look. 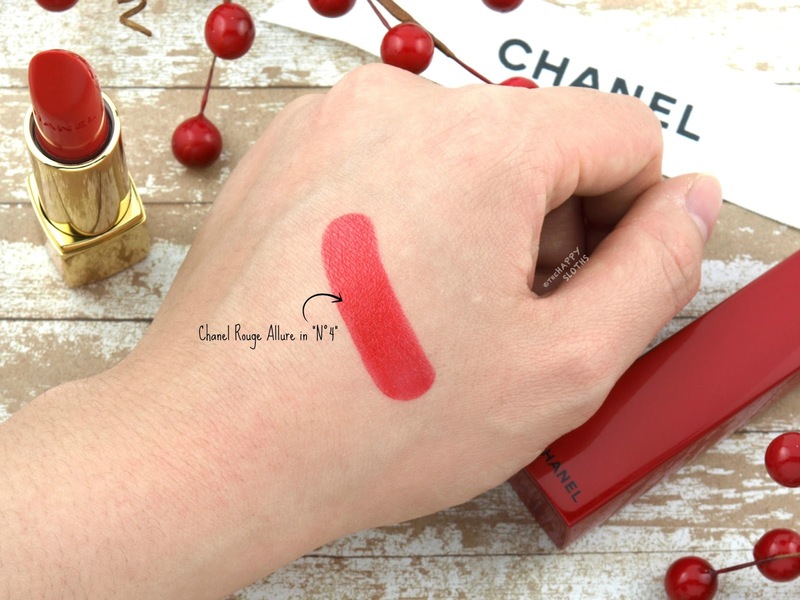 Chanel Collection Libre Numéros Rouges | Rouge Allure Lipstick in "N°4"
Packaged in a special edition Rouge Allure tube lacquered in a shiny red finish, the Rouge Allure in "N°4" is a semi-sheer red lipstick with a bright orange undertone. The formulation is very slick and hydrating. Although sheer, the application is non-patchy and highly buildable. I'm generally not a fan of orange-based reds but this shade is surprisingly wearable and flattering with its fine balance between the red and orange. Lastly, the lipstick wears just okay. It's certainly not transfer-proof but it fades away nicely and leaves behind just a tiny tint of color. 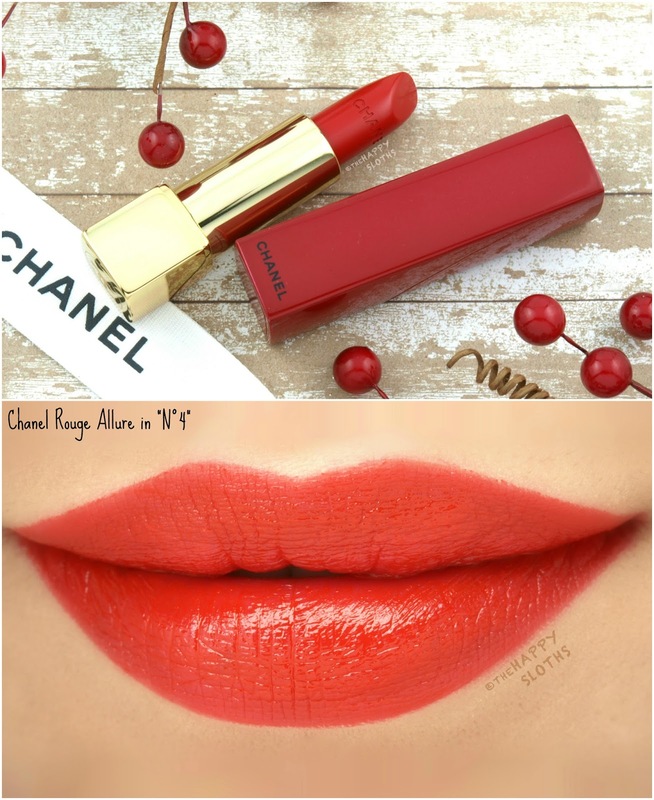 As mentioned, this collection features three other red Rouge Allure shades so if this orange-red isn't quite your cup of tea, definitely check out the others! 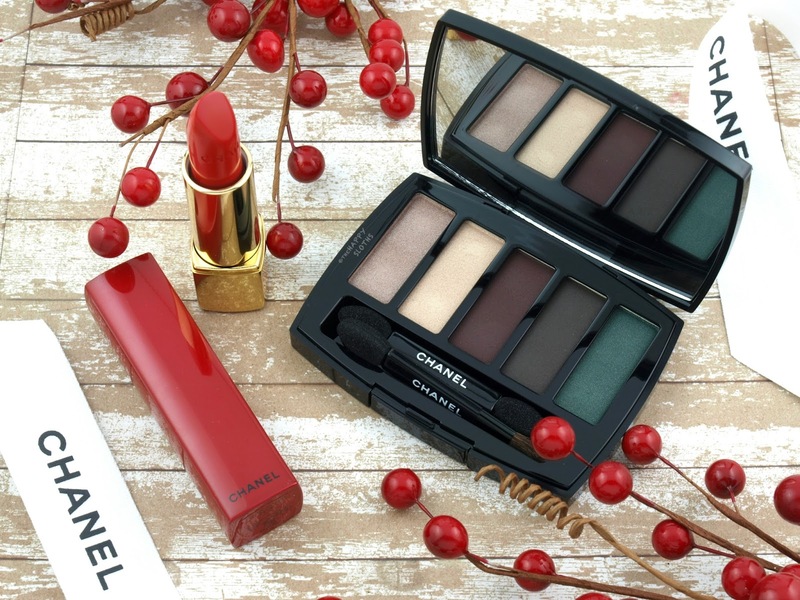 The limited edition Chanel Holiday 2017 Collection is available starting November 2nd at all Chanel Beauty counters. 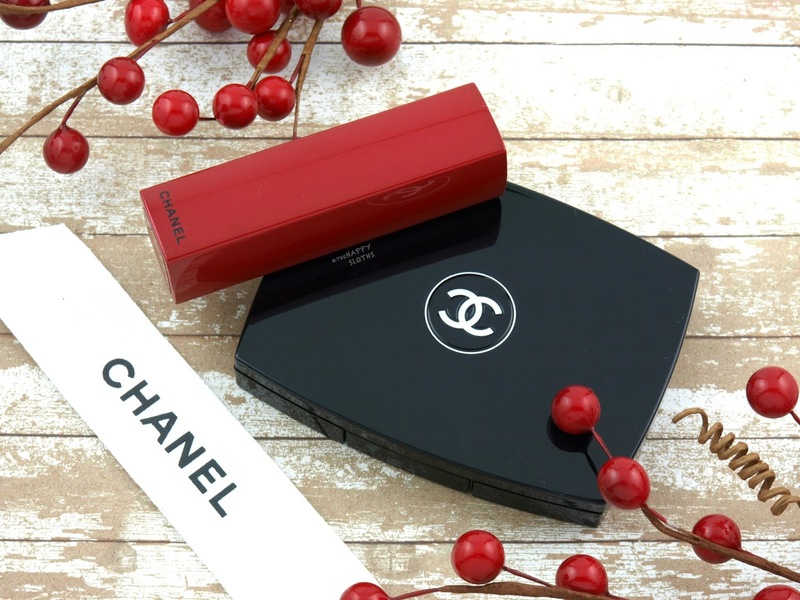 For more information, check out www.chanel.ca.